I promptly died within the first few seconds, unable to clear even the first set of pipes. The big fat score of “0” stared back at me on the scoreboard. “What the hell, I barely even started!”, I muttered to myself. I kept restarting and restarting, trying to figure out how to clear several pipes in a row. Before I knew it, three minutes had elapsed, and my order had arrived. While waiting for his order, my friend continued playing Flappy Bird. I continued to watch while eating my ramen noodles. He managed to obtain a way higher score than me, 37. But there was no variety as he kept progressing further. It was still the same green pipes over and over, the same flapping sound of the bird, and the same chiming sound of the annoying score counter. I quickly lost interest in the game, and so did my friend, who had only downloaded the game for less than a day. We play videogames for many reasons. To enjoy a good, interactive story. To have fun and relaxation. To have our skills tested and challenged. Flappy Bird falls squarely into the latter, the tantalising scoreboard teasing you time and time again to keep replaying, all for the sake of a higher score. I have a few real-life friends, who do not consider themselves gamers, suddenly posting and challenging each other on Twitter to get the highest scores. What many of these casual players don’t realise, is that Flappy Bird’s gameplay style isn’t really that unique or innovative. This “endless-runner” genre, as it is called, was pioneered by Canabalt back in 2009. Endless-runners are perfectly suited for the mobile platform: they do not require complicated inputs to play (just a simple tap on your screen will do), and because you can die so fast in less than a minute, they’re absolutely perfect games to play when you are commuting or in a queue. Or in the toilet. Or waiting for lunch like I was. You can play it anywhere, anytime, even when you are standing and walking, and you can put the game away anytime without feeling pressured to reach a checkpoint. The scoreboard is just a classic, tried-and-true videogame hook, designed to give you the desire to come back for more and more. However, the real problem with Flappy Bird, and the reason why it has received so much criticism, is that it is totally repetitive to a fault. It becomes boring really fast. There is absolutely zero variety in the gameplay: the gap in between the pipes is always the same size; the colour of the pipes is always the same; the stage is always the same; there are no powerups to collect. And even if you obtain a high score, so what? It’s not like you can use those points to unlock anything, and there is no proper online leaderboard (the Android version I played only allows you to see scores of friends connected to Google+). This is a stark contrast to other endless-runner games. Canabalt has crashing space shuttles, collapsing buildings, and exploding bombs for you to avoid. Punch Quest keeps you entertained with its rogues gallery of monsters to punch through. Robot Unicorn Attack, the best endless-runner in this writer’s opinion, forces you to learn the Melty Blood-esque ability of double jumping and airdashing in one single leap, and how to manipulate your air trajectory by controlling the strength of your button presses. If you were to force me to choose, I’d pick any these three games over Flappy Bird anytime. And no, saying that “but Flappy Bird is free” is a poor excuse, because Robot Unicorn Attack is also a free game that can be found on all platforms, including Facebook. And the latter has far superior audio. So why are people still playing it? Why has the game become so popular? Charles Pratt from Polygon, sums it up nicely with the headline of his analysis article: “Flappy Bird is proof that no one knows what the audience wants”. Elsewhere, indie developers are struggling to get their games noticed on the increasingly crowded mobile marketplace. But somehow, the simplest and most monotonous game possible goes rising to the top of the charts instead. No one knows what the audience wants indeed. Human beings and videogames are such complex creatures to understand. Dear Dong Nguyen, I’m sorry that you have received so much criticism regarding Flappy Bird. Whatever your reasons for taking the game down, the game is your property and it’s your right to make your own decisions. However, I do hope that you will continue to develop games in the future, because I’m sympathetic to indie developers. I’m very curious to see what else you can come up with. I’m not asking you to be the next Jonathan Blow, Terry Cavanagh, or Christine Love. But it would be a complete waste to abandon games development forever just like that, all because of one incident. Don’t become another Phil Fish. 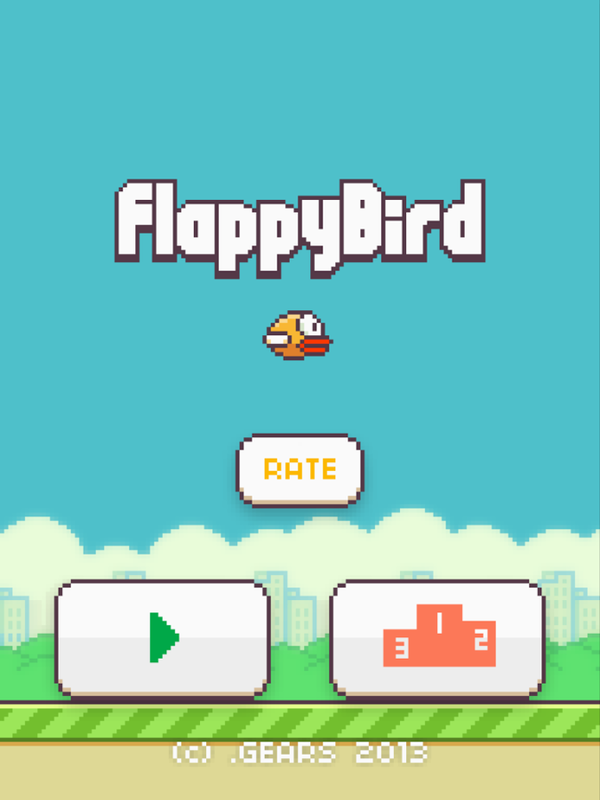 And dear everyone else, all of the casual gamers still playing Flappy Bird, PLEASE play something else. There are far better games out there to spend your time with. I highly recommend any of the three games I mentioned earlier: Canabalt, Punch Quest, or Robot Unicorn Attack. Especially Robot Unicorn Attack. 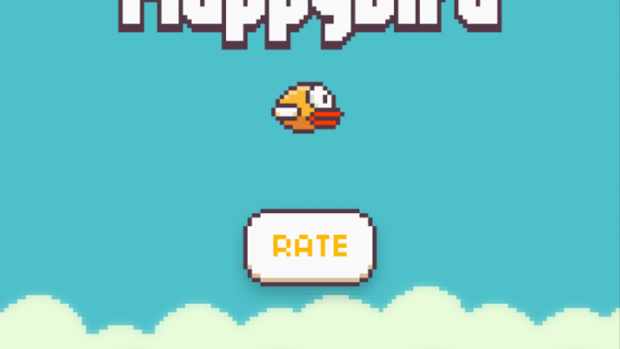 The author’s highest score in Flappy Bird is 17. The highest score he has seen on Twitter was 555.